Earn Reward "Fortunes" every time you eat with us, and spend that Fortune on something real nice... delicious food from Leeann Chin! Click the link below that suits your mobile device to download the App today! Click Here to manage your Fortunes online. Leeann Chin, Inc ("Leeann Chin," "we" or "us") started its Leeann Chin® Loyalty Program (the "Program") to recognize and reward our loyal Leeann Chin® restaurant Guests. 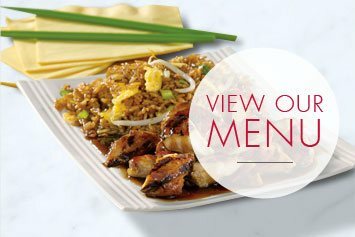 We offer the Program at participating Leeann Chin® restaurants in the United States. If you want to take advantage of the benefits (“Rewards”) that we offer to members of the Program, then you must agree to these terms and conditions ("Rules"). You may enroll in the Program if: (a) you are a legal resident of the United States, (b) you are at least 13 years of age at the time you enroll, (c) you have a postal address that the United States Postal Service recognizes, (d) you have an active e-mail address, and (e) you are a human being. Only human beings may enroll in the Program. No corporations, partnerships, limited liability companies, trusts, or other legal entities may enroll. The Program is not targeted towards, nor intended for use by, anyone under the age of 13. To enroll in the Program, download the Leeann Chin App (the "App") on the Google Play or Apple Store or online at, www.LeeannChin.com (the "Website") and follow the steps below. You will also have the option of joining the Program through Facebook on the app. If you do not have a smartphone, you can enroll on the Website by following the steps below. 1.Download the App from either Google play or Apple Store by searching “Leeann Chin” on your smartphone. 2. Sign in with your name, email address, date of birth and password. 3. Existing Leeann Chin Loyalty Program members will need to provide their registered phone number to migrate their history and active rewards. 4. Start earning rewards right away! 1. Download the App from either Google play or Apple Store by searching "Leeann Chin" on your smartphone. 2. Click the "Sign up with Facebook", if you are not logged into Facebook through your smartphone currently, it will prompt you to do that at that time. 3. Earn 10 BONUS Fortunes for signing up with your Facebook account. By joining and using the Program through Facebook, you hereby release Facebook from any and all liability in connection with the Program. You also acknowledge that the Promotion is in no way sponsored, endorsed or administered by, or associated with, Facebook. You are providing information to Leeann Chin by joining the Program, not to Facebook. 2. Click on Rewards at the top of the page. 3. Click the link below the mobile app stores, "Click Here to manage your Fortunes online." 4. Sign in with your name, email address, date of birth and password. 5. Start earning rewards right away! We will use your contact information to keep in touch with you in the ways you select when you enroll in the Program. If your contact information changes, or if you wish to change your contact information or the method by which we send you messages (e.g., start having us send messages to your mobile phone number), please log onto the App or the Website and update your contact information or preferences. If any information you provide us is not truthful, accurate and complete, we may block you from enrolling in the Program, or we may cancel your membership in the Program. Each person may have only one Program account. If Leeann Chin finds that you have created multiple Program Accounts, we may cancel all Program accounts you have created. Further, Leeann Chin may refuse to allow you to re-enroll in the Program. We do not anticipate having to limit the number of people that we will allow to enroll in the Program, but we reserve the right to do so. We do not charge you a fee to enroll in the Program or to remain a member of the Program. As a part of the Program, Leeann Chin will send to you informational and promotional messages to the contact information that you provide as part of your registration, such as messages informing you of improvements we make to the Program, new Rewards you may earn, Rewards you have earned that may be ready to expire, new menu items you may want to try, and events happening in Leeann Chin® restaurants. These communications may happen in the form of push notifications through the App and/or email. We may find new ways of contacting you and we will inform you prior to any such changes. After downloading and opening the App, you will be prompted to either allow or not allow push notifications to be sent to your phone from the App. By opting into the Program push notifications, you ensure you never miss a special promotion. But, you may opt out of receiving push notifications from the App; you are not required to opt-in to allowing Leeann Chin to send you push notifications through the App to become or remain a Program member. Upon joining the Program, you will begin to receive two types of emails from us. The types of emails are detailed below. Each time you receive a Fortune (as detailed below) and each time you redeem a Reward (as detailed below), we will send you an email detailing the transaction. As a condition of enrolling in the Program, you agree that Leeann Chin may send you these account transaction messages by email to the email address associated with your Program account (“Program Account”). If at any time you no longer wish to receive such account transaction messages, you may cancel your Program Account as described below in the “How and When Membership May End” section of the Rules. Please note that if you unsubscribe from the account transaction emails, Leeann Chin will de-activate your Program Account and you will forfeit all Fortunes, Rewards and other benefits of being a Program member that you may have earned. As a member of the Program, you are eligible to receive exclusive insider news and special offers, as well as have the opportunity to share your thoughts and give feedback. We will send you this information by email to the email address associated with your Program Account. If at any time you no longer wish to receive such promotional emails, you may “opt out” and remove yourself from the email list by clicking “Unsubscribe” at the bottom of one of these emails and following the steps provided. Unsubscribing from these promotional emails will not de-activate your Program Account; you are not required to receive these promotional emails to remain a member of the Program. card(s) is not eligible to earn Fortune(s). You will not earn a Fortune towards an earned Reward if you spend less than a total of $0.50 in one transaction at a Leeann Chin® restaurant. Further, you may only check in, scan, or manually barcodes to earn Fortune(s) for a maximum of 1 times per four 4 hour period meaning that you will only be eligible for one Fortune(s) earning opportunities per visit regardless of the number of transactions you make during that visit. To receive aFortune(s) for a qualified purchase by(a) selecting earn within the App and scan the QR code at the register (b) scanning the bar code on the receipt from your purchase with the built in scanner in the App (c) manually entering the bar code on the receipt from you purchase in the App (d) manually entering the bar code on the receipt from you purchase at www.LeeannChin.com.You will earn one Fortune for every $1.00 spent, with a minimum purchase of $0.50 or more.After this verification, the Fortune(s) to which you are entitled will be applied to your Program Account. You can track the Fortune(s) and Reward(s) you have already earned and that you may earn in the future by logging into your Program Account through the App, by logging into your Program Account with your Facebook account or through the Website and entering your e-mail address and your Program Account password. Members can also receive BONUS Fortunes for every Facebook friend they refer who joins our Program and starts earning Fortune(s). This incentive encourages social sharing, but it’s important to understand that BONUS Fortunes will not be awarded until the referred member downloads the App and earns their first Fortune(s) by completing their first qualifying purchase. Jane and John are Facebook friends. Jane signs up for the Program using her Facebook profile and then makes her first qualifying purchase at a Leeann Chin restaurant and scans her receipt within 72 hours of her purchase to verify the purchase, earning her Fortunes: 10 BONUS Fortunes for using her Facebook profile to join and 10 Fortunes for spending $10 at a Leeann Chin restaurant. John then joins the Program using his Facebook profile and makes his first $10 purchase at a Leeann Chin restaurant. This also earns John20 Fortunes: 10 BONUS Fortunes for using his Facebook profile to join and 10 Fortunes for spending $10 at a Leeann Chin restaurant. The App will automatically recognize that Jane and John are Facebook friends and will ask John if Jane referred him to the Program. If John answers “yes”, Jane will earn 15 BONUS Fortunes because John named her as the person who referred him to the Program. If members weren’t referred by a Facebook friend, they have the choice to skip this option within the App and register on their own. You can also share your Leeann Chin experience on your personal Facebook page through the App. You have the option to make your comment public, but please note that by making your comment public, we may re-use your comment on the official Leeann Chin Facebook page and/or other social media outlets. Program members will have access to exclusive ‘insider’ information – including being one of the first to hear about select new menu items, special promotions, system-wide events, etc. Members will learn about Limited Time Offers and Special Promotions through push notifications and/or emails sent through the Program. These details will also be housed within in the App in the “News” section. Members will have the ability to give immediate feedback about their visit to Leeann Chin restaurant(s), with the added ability to share their comments through their social network on Facebook. By accumulating 100Fortunes in your Program Account, you will earn a “FREE Entree” reward (a “Reward”), which you may redeem at participating Leeann Chin® restaurants. The Reward will be valid for 90 days on your Program Account. Once you earn a Reward, you may start accumulating Fortunes towards another Reward. You may only redeem one Reward per four 4 hour period meaning that you may only redeem one Reward per visit regardless of the number of Rewards you have earned in your Program Account. A Reward may not be combined with any other offer or coupon. The Rewards you do not redeem will remain on your Program Account until you use them or until they expire, whichever occurs first. If we decide to end the Program or a specific Reward, we will attempt to provide you 60 days prior notice either by e-mailing you at the e-mail address listed in your Program Account or by posting a notice on the Website. However, our failure to notify you that we are ending the Program or that we are ending a specific Reward plan will not give you any right to require us to continue the Program or the specific Reward after the date we end the Program or the specific Reward plan. Neither will our failure to notify you obligate us to compensate you for any Rewards or credits that you do not use before we end the Program or the specific Reward plan. Rewards and credits you accumulate under the Program have no cash value. If we end the Program, Rewards and credits you have earned but not used will expire on the end date, and you may not redeem any Rewards or use any credits after the end date. To the extent permitted by law, when you enroll in the Program, you waive your rights under any law that may require us to obtain judicial permission to change these Rules or to end the Program. Each person that enrolls in the Program must enroll using a separate, unique App log-in information, a unique Facebook account, or a unique e-mail address. Rewards are non-transferable and may not be shared with family members, friends or other Program members. But, if you redeem a Reward for a menu item, feel free to offer them a bite of it! Each eligible person may enroll for the Program only one time, i.e., one Program Account per person. 1. Log into your Program Account from your smartphone. 2. Send an email from the “Need Help?” section under settings. 4. Type “Please Cancel my Account” in the subject line and hit “Send”. 5. Your Program Account will be automatically canceled. 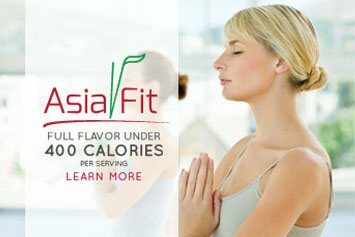 As soon as you cancel your Program Account, Leeann Chin will de-activate your Program Account and you will forfeit all Rewards, Punches, and other benefits of being a Program member that you may have earned. We may cancel your Program Account if we determine that you are not eligible to be a member of the Program or that you have violated these Rules. We may cancel some or all of your earned Rewards and credits if we determine that you received the Rewards or credits due to an error, through fraud or deception, or in any manner not consistent with these Rules. We may change these Rules from time to time as we deem appropriate, with or without providing you prior notice of the change. If we change the Rules, then the revised Rules will be substituted for these Rules on the date the revised Rules go into effect. If the revised Rules require you to accumulate more credits to earn a Reward than the prior Rules, or the revised Rules provide that a Reward will expire sooner than the Reward would have expired under the prior Rules, then the revised Rules govern. Need more info? Check out the FAQs!